My Tokidoki story began in late 2007 when I went to a store called MetroPark at the Los Cerritos Mall. Both of which are very unusual for me – since I didn’t go to most malls much let alone Cerritos. Nearly 8 years later, I wore that same shirt I raved about so much about to the 10 year Anniversary of a Tokidoki. A brand I have truly fallen in love with. I’ve had some negative experiences in trying to sell excess bags that I discovered later were fake. 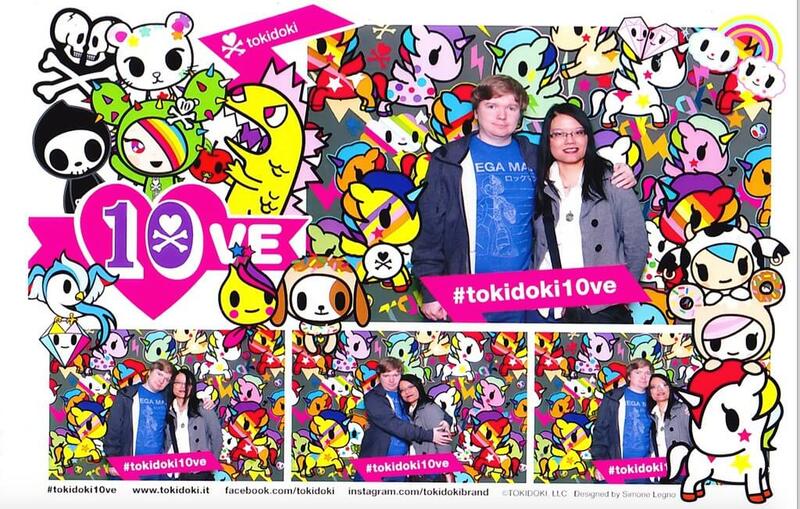 Despite these issues, I still continue to enjoy the wonderfully cute world of Tokidoki. Me with Tokidoki Barbie dolls! I was honored and excited to get my invite to the VIP event. It was so exclusive that a couple tickets were also being auctioned off on CharityBuzz at over $1000. Bidding on that was impractical for me when I’m relying on my family (and close friends) for financial support. I’ve posted a brief summary and my photos from the event (which continues tomorrow) on Examiner.com. It was hard not to want to buy everything, though I couldn’t make my upcoming birthday a good reason to do so. Instead of buying more shirts, which I was very tempted to – I focused on small items: mug, pencil case, sticky notes, notebook, and art print. It wasn’t until later that night, that I noticed most of those same items in our swag bags! I’d actually asked about buying the tote bags, which is what the swag bags were. 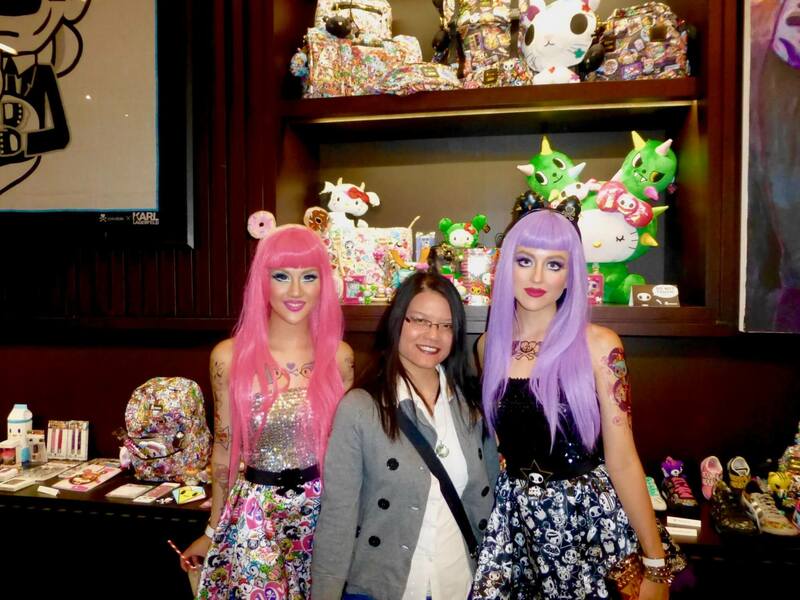 We were waiting to get in when we saw the Tokidoki Barbies arrive, so I was excited to see them and get a photo. I saw Adios, Mozzarella, and Donutella there too. But I didn’t want to be there all night waiting for photos with everyone. The line was long enough for the one photo booth we waited at, but it was worth it! !